We get hundreds of low-grade tanned fox faces from time to time. Some are okay, some are pretty bad. There is a mix of species: red fox, blue fox, American gray fox, etc. 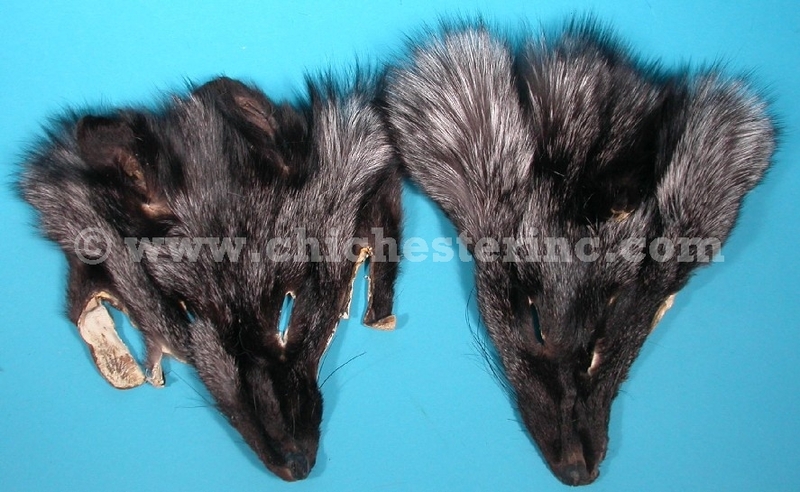 These skins are generally good for scrap fur where small pieces are needed, but are not suitable for crafts where presentation matters. Some can be repaired, but we are neither going to sort them again or repair them. 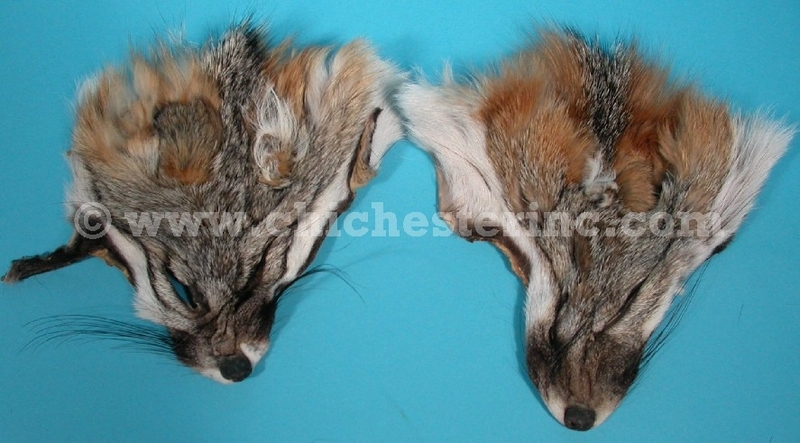 They are ideal for fly fishing projects or other craft projects that can use faces with irregular shaped eyes, missing noses, torn, poorly cut, etc. Genus and species of American gray fox: Urocyon cinereoargenteus. Ranch. Genus and species of Arctic, Blue, and White Shadow Foxes: Vulpes lagopus. Ranch. 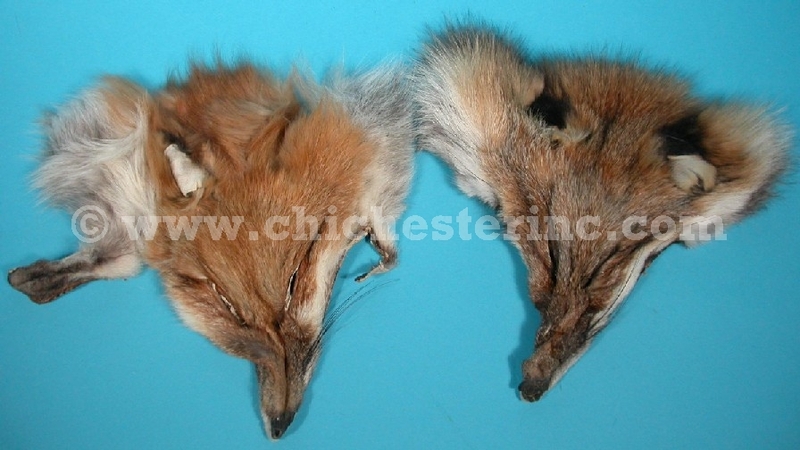 Genus and species of Red, Crystal, and Silver foxes: Vulpes vulpes. Ranch. Product of Canada, the USA, or Finland.